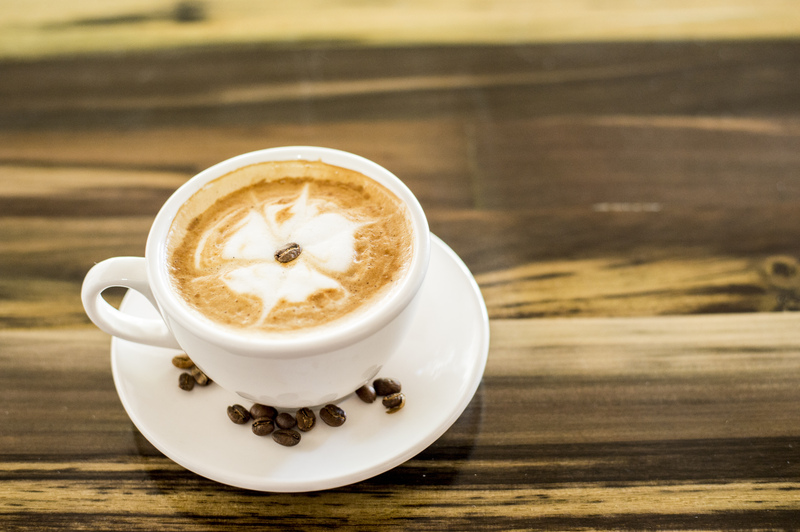 Check out our menu to see a wide variety of coffee based beverages, hot and cold, as well as non-coffee alternatives. Deaf Can! Coffee exists to affirm young people in their identity as a Deaf person and as someone made in the image of God. Success is defined as young men and women accepting themselves, believing in their inherent gifts and talents, taking responsibility for their future and becoming a leader in their families, communities and careers. We are an outreach of HarvestCall Jamaica, a not-for-profit organization founded to obey God and love others. We see a future of empowered Deaf people thriving in their careers & a broader society that recognizes the inherent worth and abilities of all people. We exist to inspire Deaf youth to believe in their talents and abilities, engage their passions and interests and foster creative, positive thought in a healthy community that builds each other up and equips them for life, work and family. We will accomplish this through a sustainable coffee venture known by customers for a great product, talented staff and enjoyable experience. At the root of Deaf Can! Coffee is the belief that Deaf people can do anything and lack nothing, even though we don't hear with our ears. Society however doesn't always agree and Deaf youth often face a negative stigma in their environment that creates a L-A-C-K in their life by excluding them and preventing access to Language, Affirmation, Community and Knowledge. To address this, a group of Deaf teen boys from Caribbean Christian Centre for the Deaf (Kingston, Jamaica) were taken on a field trip to meet Evelyn Clarke, a Deaf coffee farmer in Top Hill, St. Elizabeth. Clarke is a Deaf person proud of his Sign Language, Affirmed in his Deaf identity, Integral in his Community and very Knowledgeable in the art of growing and roasting coffee. With his inspiration and challenge, the teen students began roasting, packaging and selling coffee. Then they began brewing the coffee and a few months later opened up a small coffee shop at their school. Out of this was born the social enterprise Deaf Can! Coffee that trains students at the school and also operates in the public space via a mobile coffee shop, and one day soon we may even have a full-time shop! The image of hands are representative of the Jamaican Sign Language expression meaning coffee; two fists stacked on each other, with the top hand rotating clockwise around the bottom fist. Imagine a hand held grinding mechanism where you manually had to rotate the shaft to grind coffee beans. For those who do not know the sign for coffee, we added the image of a coffee cup. The words Deaf Can are at our core and central to our message; Deaf people CAN DO anything that hearing people can do. The exclamation mark (!) is a critical component of our logo as it captures the emphasis of facial expression and body language expressed in JSL that cannot be shown by text. The color and free flowing design of the ! denotes the trademark artistic touch put into every caffe latte we serve. Consider inviting Deaf Can! Coffee to your company's event, whether its a marketing campaign or a product launch, we can deliver coffee services and demonstrate your corporate commitment to social responsibility and inclusion, separating yourself from the competition in a memorable way! Delivering coffee break services for your event, whether its a workshop, conference, or a business meeting. Choose from different packages and offerings tailored to meet your needs. One thing is certain, your audience will love their coffee and thoroughly enjoy the experience. Small businesses need to get their products and services out to the marketplace to connect with those that are interested in what they offer, and expo's provide a central place for multiple SME's to do this. We can set-up a small footprint cafe at your expo, wowing visitors and creating a win-win.. Contact us today! Meet the pioneering crew who is proving to the world that Deaf can do anything! The truth on what makes a Deaf person whole. What is Deaf Can! Coffee all about? You can get great coffee from lots of great places. But there's only one place to get coffee that's small-batch roasted by Deaf youth where 100% of proceeds go directly back into engaging, equipping and empowering the Deaf community in Jamaica. And don't forget your fashionable t-shirt to promote your favorite social enterprise! See what everyone is saying about us. Met these incredible men and invited them to be a part of my booth at The Collection Moda. You have to meet the Deaf Can! Coffee team, they have the most amazing coffee in the planet made right here in Kingston by the Deaf. Check them out and see how you can support this wonderful cause! Thank you for partnering with us to make a difference in the lives of Deaf youth. Every dollar you contribute accelerates impact and helps us grow to a sustainable level where one day your donations will no longer be needed.